You Can Stop The Time! This sticker depicts a woman with black hair set against a purple background. Purple is often a color associated with the feminist movement. Emphasizing this movement, the left side of the sticker is lined with venus symbols, and a clenched fist is depicted in the cloud above. 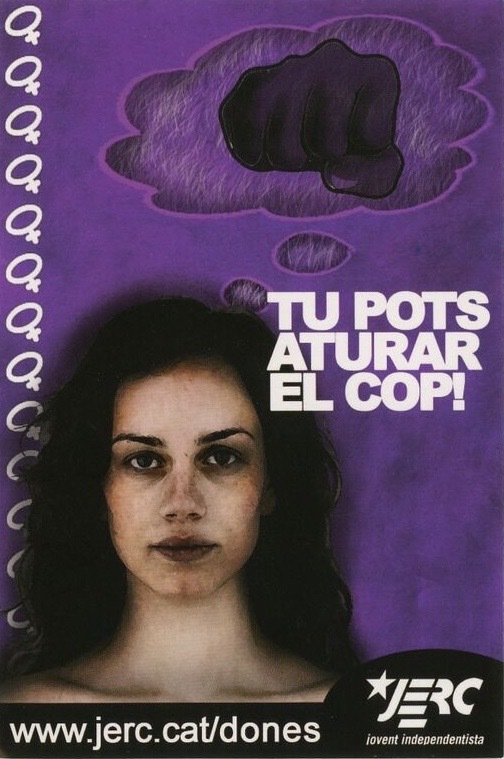 This sticker was produced by the JERC, a leftist group of republican in Catalonia.